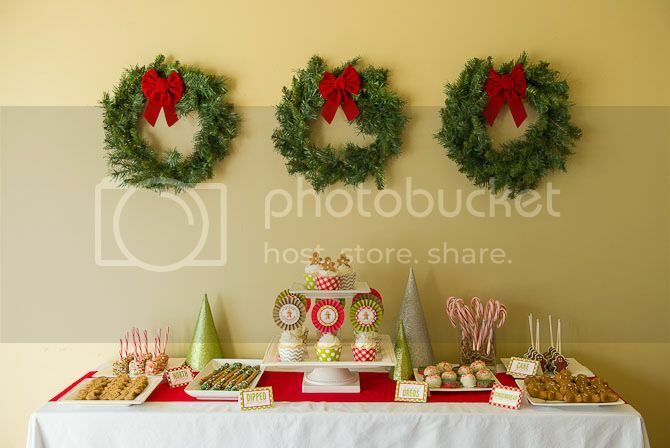 Sol and Rachel do a Blog: Gingerbread Party--and an awesome FREEBIE! 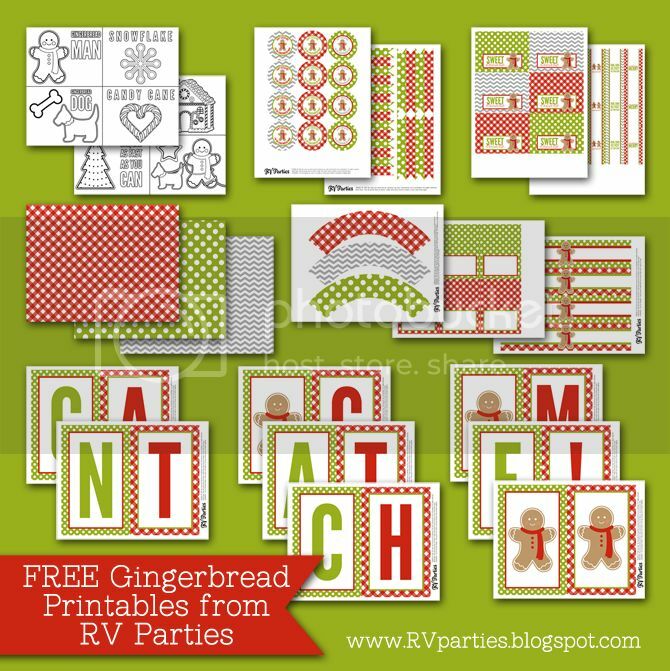 Gingerbread Party--and an awesome FREEBIE! It's been a big few weeks for RV Parties--we're excited that a few of our projects have been getting some good PR lately, that we got to participate in THIS giveaway (go enter!)... and there's even a few more exciting things coming up. 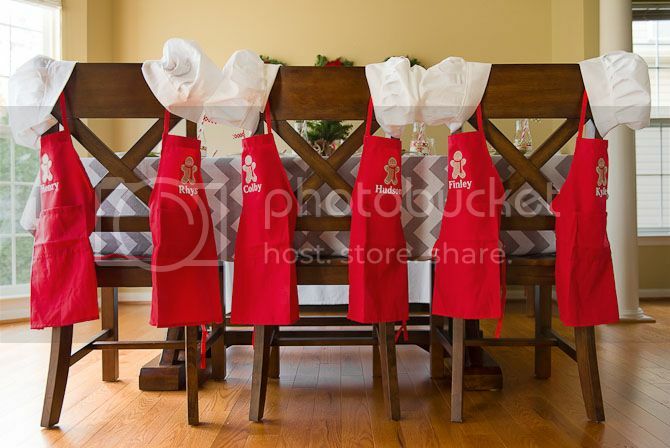 Our most recent undertaking was featured on Pizzazzarie and better yet, you can download all the decorations for FREE. 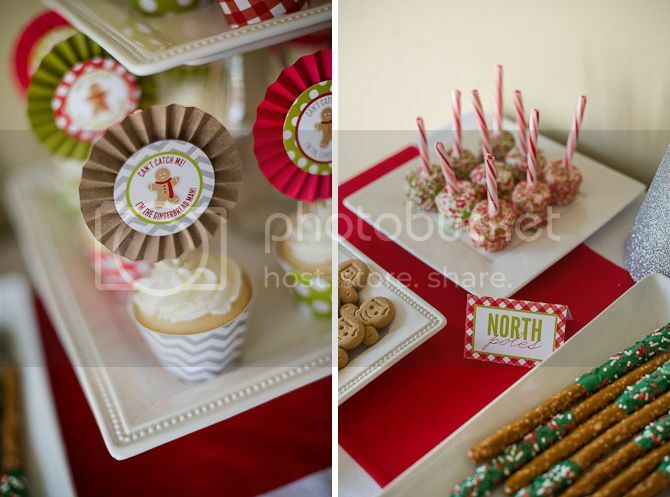 You can see more pictures on the half functioning blog for RV Parties, but I'll share a few here! So here's... 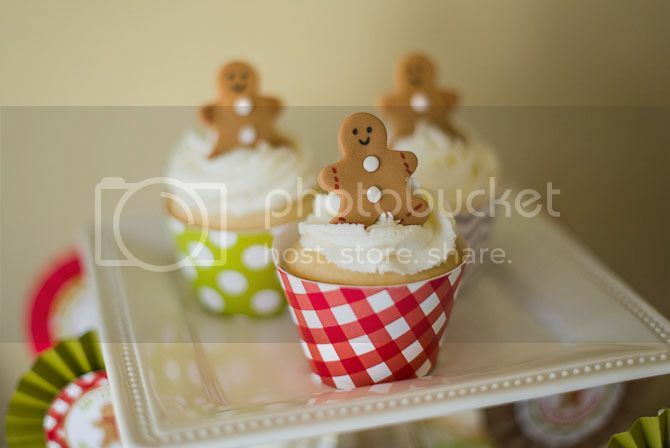 THE GINGERBREAD PARTY! 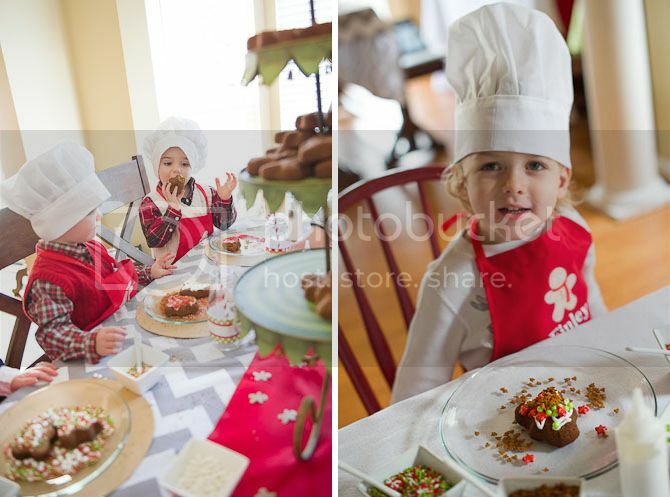 This Gingerbread Party Playdate was a GREAT holiday activity for preschoolers. 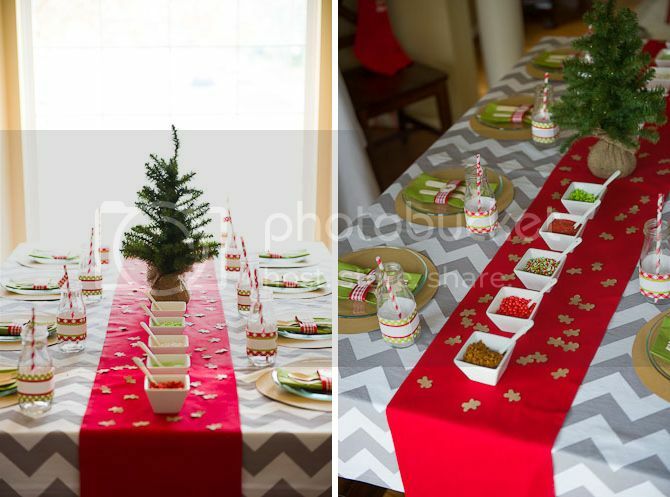 Aside from it being tons of fun, it's easy to throw together an impressive party with Christmas decorations you already have and our FREE printables. 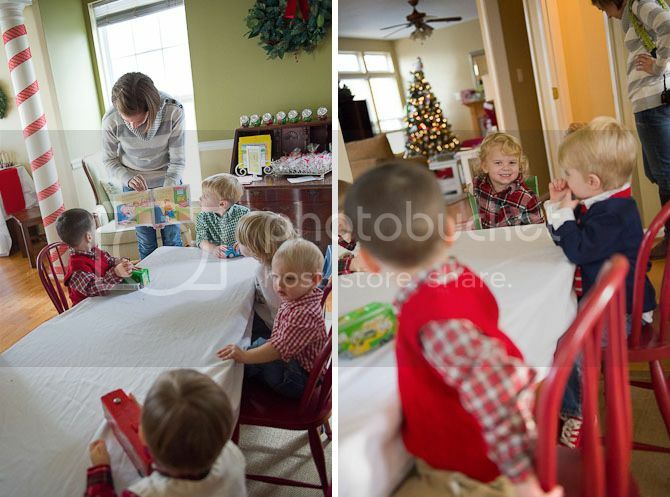 We hosted a group of 2 and 3 year olds, but it could easily be adapted to an older crew. We started off the event by having kiddos press pre-made dough into these great molds. (You could also roll it out and let them cut it! )The kids came over to watch (from a distance!) as we slid the trays into the oven to bake. All the kids reconvened around the table to listen to the story of the Gingerbread Man! There are lots of versions out there, but this one was one of Amazon's 3 for 4 deals, so I was able to stock up so all the kids could take one home! After we finished the story we went to check on the cookies--but they were all gone! Just like in the story, the Gingerbread men had all run away. The kiddos searched around the house for them--under the tree, in the toy bins around the kitchen... but couldn't find them! 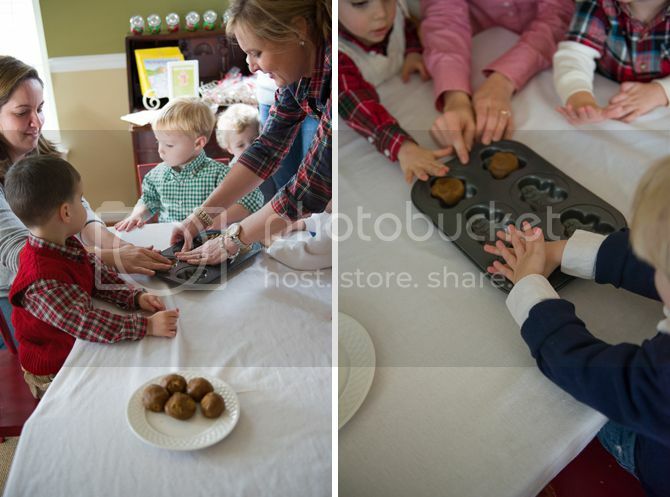 The kids found their way back to the decorating room and were so happy to see their treats. 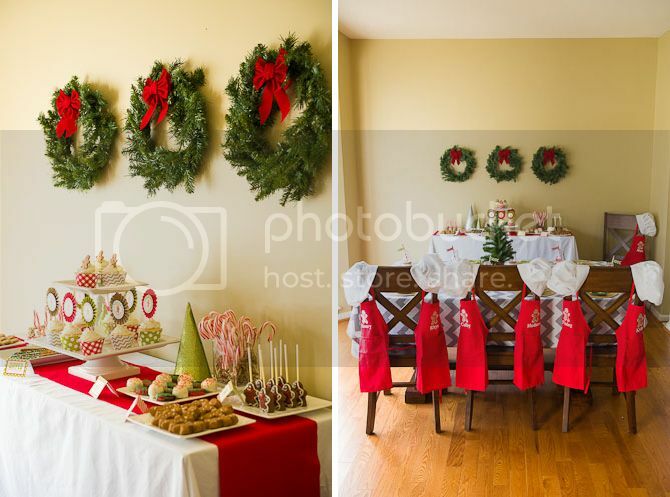 They quickly got straight to decorating--and even quicker to eating. The cookies were delicious. 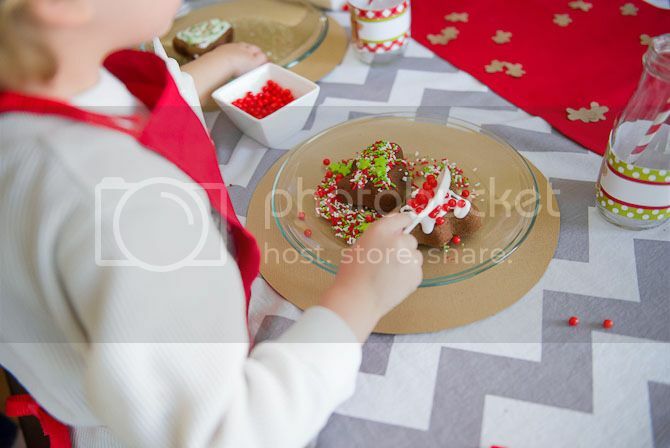 We used mini squirt bottles so that the kids could apply icing in the least messy way possible and lined up bright colored sprinkles for the kids to scoop on. 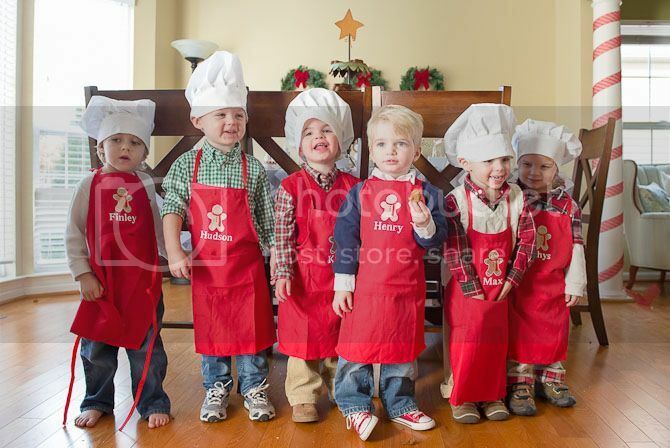 How cute are our little chefs in the aprons and chef hats? We swooned over the embroidery that matched our little gingerbread man perfectly. Such little cuties. Now on to the goodies! We joked that the theme of the party was sugar... dipped in sugar... topped with sugar. But it's the holidays, so it's all fair game! 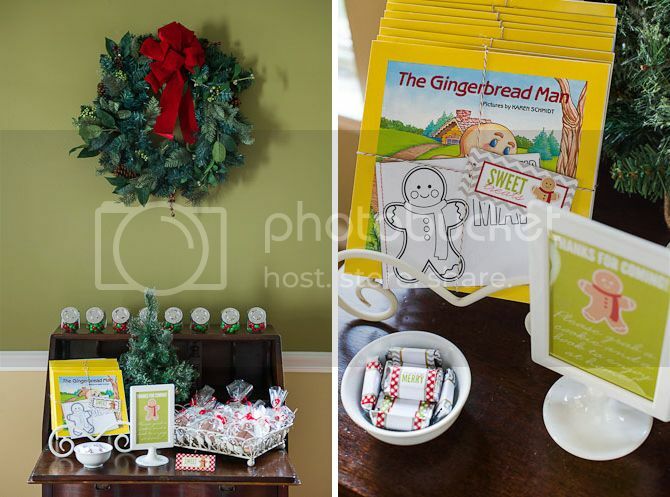 The treats are easy to keep relatively simple--plain white cupcakes, boxed Pepperidge Farm cookies, and Gingerbread Man Peeps, make for a darling table! 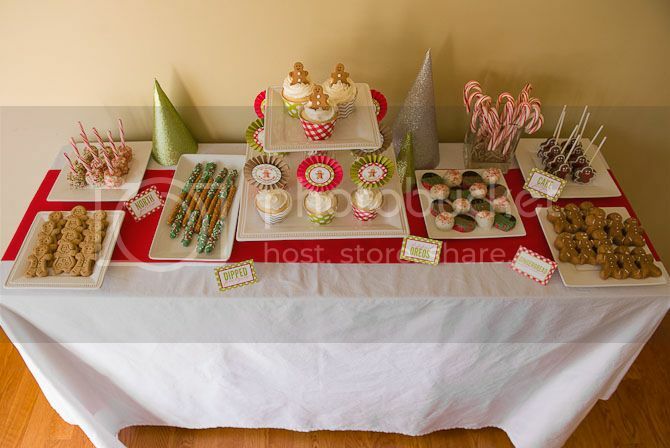 If you want to make it a little fancier, dipped pretzels, oreos, marshmallows, cake balls and cake pops add a little extra to the party. 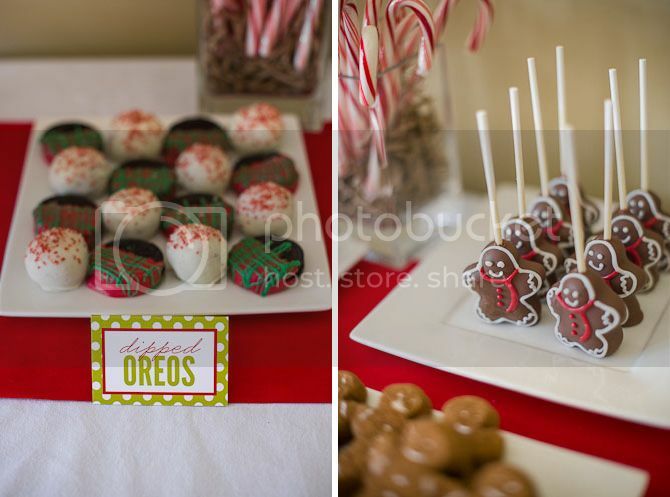 Aren't the Gingerbread Man Cake Pops PERFECT? Our fantastic vendors are listed below--all items are available for purchase if you aren't up for making your own sweets! I could not handle how cute these fondant toppers were! Such a perfect way to make a simple cupcake match the party. And I want to make these accordion folded cupcake toppers for EVERYTHING. Tutorial coming soon! 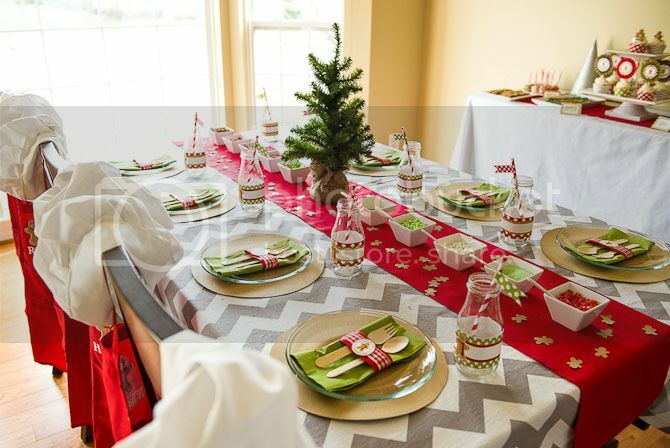 Setting a table has become one of my favorite parts of party planning--glass Frappuccino bottles are cute with labels and straws and these glass plates from IKEA were perfect for catching stray sprinkles! In addition to more sweets than any child could possible need, our little chefs took home the Gingerbread Man book, a coloring book (available as part of the free printable pack!) and the most darling cookies I've ever seen from J&J Bakeshop. It broke my heart a little to eat them! 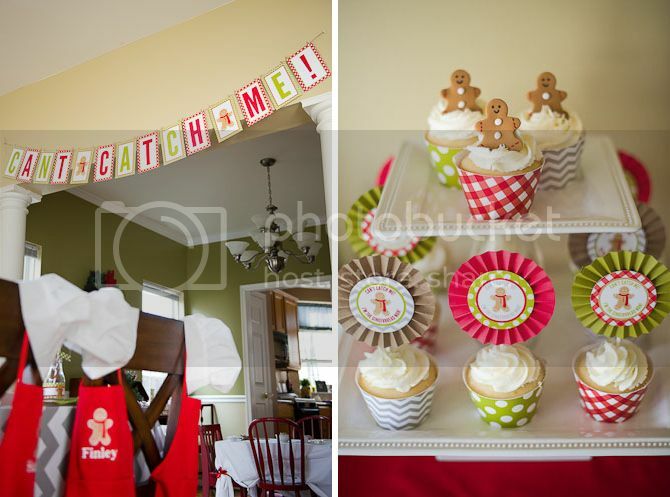 Click the link below the picture to download all the printables used to throw this party! It comes with pdf files to make an 8 page coloring book, cupcake toppers and wrappers, straw flags, water bottle labels, treat bag toppers, mini candy wrappers, food labels, banner and coordinating paper. 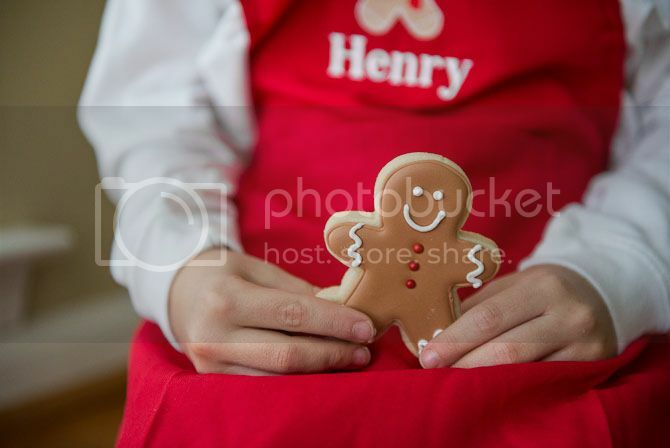 I don't think there's ever been a more perfectly timed post for me...having a cookie party this weekend and have been looking for printables. Love this! We're on the same wavelength. So happy to help! And now I'm even SADDER that I'm not going to Steph's party. Thank you so much for the free download! I'm going to save this and do it next year. Looks like it was such a fun party! freaking out at how cute this party is. seriously. nuts.